Alien Covenant is the great grandson of Alien (1977). It looks and sounds like the original and yet it’s stuck with that likeness due to fans yelling for it and also falls flat trying something on a more intellectual level which the director wants to do. I sat with a list being crossed off in my mind. She’s Ripley, he can’t be trusted, he’s a goner, she’s a goner, music from other movie, it’s behind you…and so on. It just seemed to have banter after banter at the start as if this was building towards the climax and yet the climax never really came. Well, it came but it was by the numbers and basically a retread. It all happened in front of my eyes and yet I was unmoved. I would recommend just watching the first two again and leaving it at that. The acting is all fait enough and it does look like the exact same world as the original, just without anything it care about. 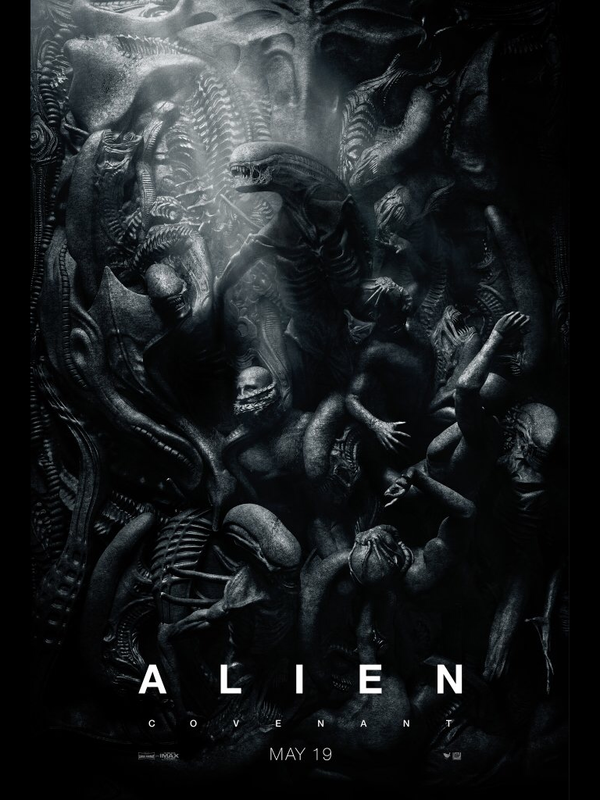 The alien itself is such a tired image now that even a young audience who hasn’t seen most of them would point and say “that bursts out if chests, that hugs faces and that has a mouth inside its mouth and is a man dressed up”. I’d say a 4 out of 10. It was great to back in this pop culture filled world with this unlikely family of reprobates. This time around I felt the film had a much less of a pace to it as story went. There were many scenes which were just designed to enjoy characters messing about in order for laughs which I thought was brave and in a way cocky. The main story is merely Starlord meetings dad played by Kurt Russell. The new 80’s playlist is a nice extension of the last one and Yondu and Nebula get to return in a continued look at their links to the Guardians. I still think that the climax does exactly the cookie cut model which they also do and the villain is merely ‘Electro’ from Spider-man in design or many other terra reforming menaces. The fun is in the prattling around which fills most of the running time. I enjoyed it a lot but there seemed much less to actually put your heart and soul into. It felt like treading water but I think they were actually trying to try a new approach and we are just so used to the same sort of thing that we itch when it’s slightly different. The joke here being that Alec Baldwin voices a suit wearing baby who is the new arrival in a family which causes friction with the son Tim, who feels this new intruder is stealing the limelight. Then Tim discovers that this baby can talk as if adult. 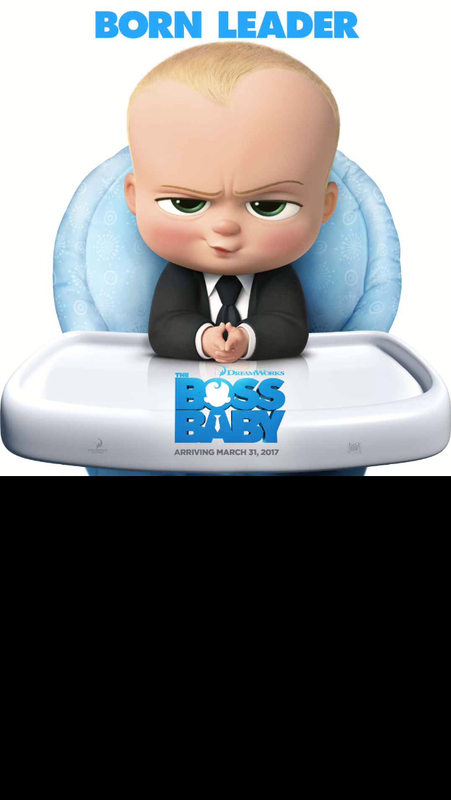 The Boss Baby drops its set up of boy vs baby surprisingly early as the duo semi team up to stop PuppyCo from taking all the love away from youngsters in the eyes of their parents. There are a smattering of sight gags and a few funny moments but it’s mid range stuff ultimately. A one joke movie in essence but it just about stretches it enough. Bryan Cranston, Charlize Theron and Bill Hader are highly skilled actors which bring a huge weight of talent to something you probably think of as throw away fluff. 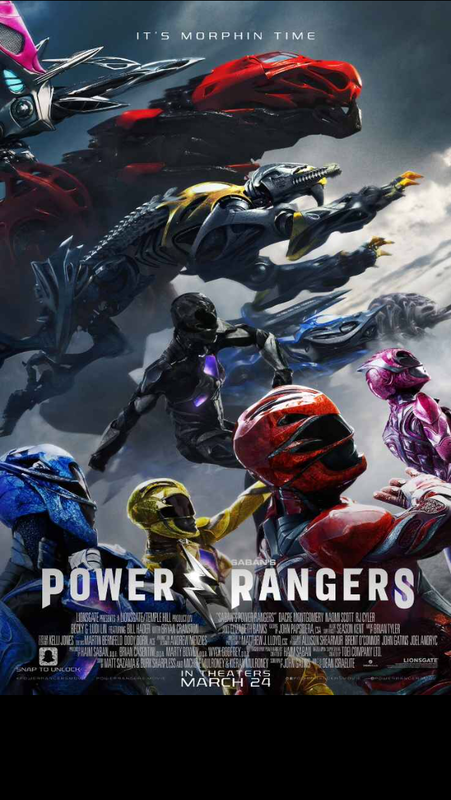 Don’t think of Power Rangers as some cheap plastic toy of a movie- that’s the TV series. Here is a Transformers soaked telling which starts off with a n** gag surprisingly and even had a close up of said manhood. There’s even swearing ! This is strictly a 12a movie and even I was left a little red faced with my 8 year old. 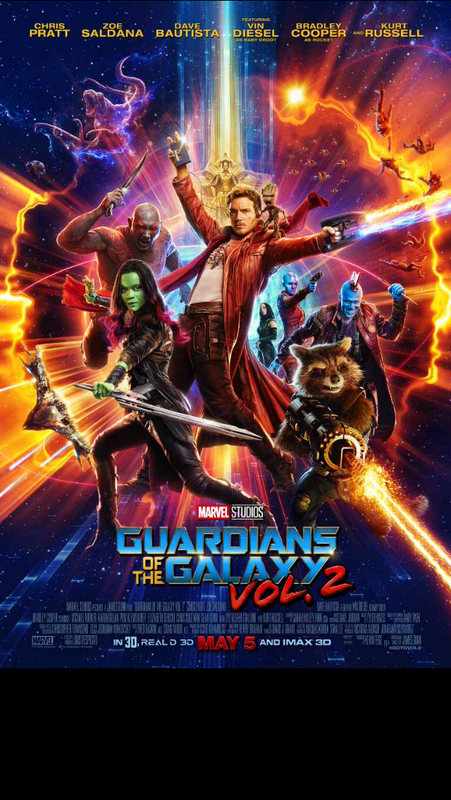 It’s a high budgeted take of five tough late teens who all come together to discover they are the new chosen galaxy protectors whether the feel it or not. Evil queen Rita Repulsa has risen again to destroy the world and our new heroes have to hand together quickly if the Earth is to be saved. The effects are top notch to be fair although it does take ages for them to get in their Zords. The huge boss Goldar is beautifully created in its molten gold form and I had a blast watching it stomp around the city. It’s just a great version of what is obviously a great idea but sadly done in many a tacky way for tv. But I say again- this isn’t really suitable for young kids unless it goes over their heads. Just remember it’s 12a which kinda means 12 unless your kid is desensitised. A curse is out on the self important prince who has to win the heart of a lover before the final petal or a rose falls or the inhabitants of the castle will stay in their cursed form. You know the score. All your favourite songs and characters are lifted straight from the cartoon classic and given a real life makeover. 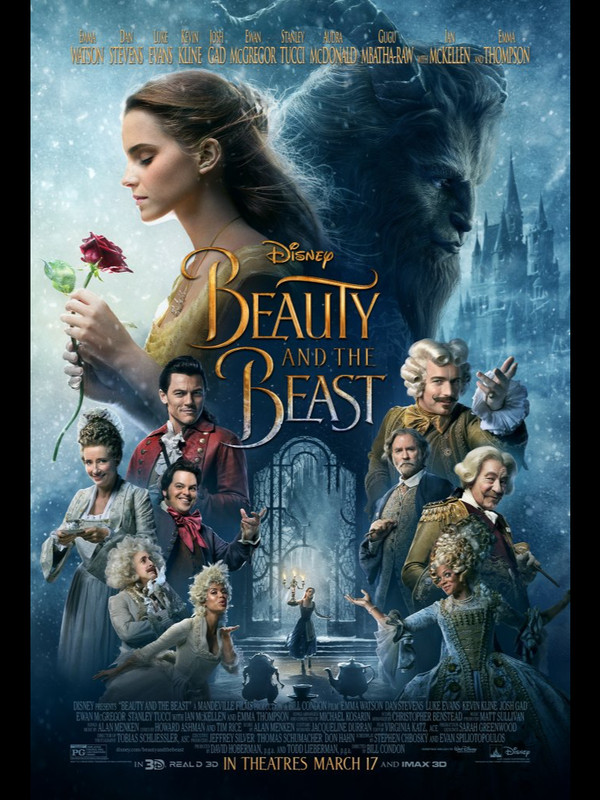 Emma Watson shines as the beautiful rose Belle, filmed in such a degree of HD I could see a pimple on her chin. She has a great singing voice too. Dan Stevens plays the beast in the castle and I had a touch of a problem with the CGI of the beast’s face. I thought it looked less photo real and more cartoon animated in parts. I’m not a huge fan of the cartoon to be fair but I can see that this is a great conversion to live action. It felt to me that there were new songs added but I could be mistaken. I always enjoy Be My Guest, maybe because it reminds me of The Simpsons parody See My Vest. Plenty of singing and good actors giving their all in a good reworking that may have you shed a tear even though you know the outcome. Some wonderful animation and voice work of the animated ornaments which carry much of the movie and help out with some amusing comments. Luke Evans as Gaston and Josh Gad as LeFou are good fun as the bromantic couple who aim to get Belle’s attention. Didn’t rock my world but was perfectly executed for those who will hope to love it. Let me start with saying that I’m not a big King Kong fan. I really don’t care about the black and white original and although I reasonably enjoyed the overlong Peter Jackson (2005) version, it made little lasting impact on me. He’s just a Gorilla… but bigger. I have the same issue with Godzilla except I put Godzilla above Kong due to the fact he’s a monster and that makes him cooler. The opening scene of Kong: Skull Island caught me off guard. Even my son asked ‘is this the film?’ . We see Kong in these first few minutes rather than the drip feed of the usual monster kind. It’s breathtaking in its delivery and you soon realise this is a fresh approach to an old idea. It takes a very Jurassic Park approach, with John Goodman as a kind of John Hammond character who gets helecoptered on by soldier Samuel L Jackson who himself plays Colonel Kurtz from Apocalypse Now during the Vietnam war. That’s how much of a fresh mix it is. The wonderful Brie Larson is a photographer -(Julianne Moore in Jurassic Park 2 a-like) who is brought along to document whatever the hell is making ships and planes go missing on this mysterious island which by the way, is surrounded by a perpetual storm of ferocious intent. There are other incidental characters filling out the soldiers outfit but they are filler for the lead actor. That being Tom Hiddleston. In a King Kong movie? Are you sure? Well yes, since this is directed by Jordan Vogt-Roberts who directed Kings Of Summer, which is great by the way. There’s so many directorial choices such as slow motion and audio silences plus snazzily written location titles in between scenes. It all looks so fresh. 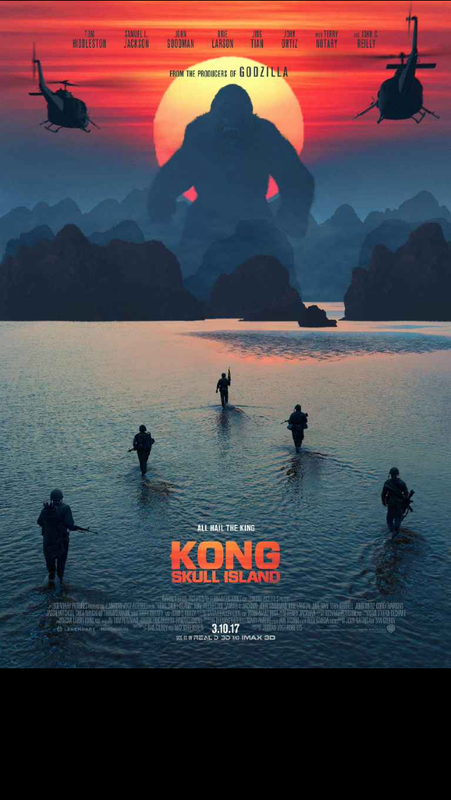 But Kong himself isn’t all that lurks on the island. There are some wonderful other giant bugs and oddities which even best Avatar in their amazingness. The huge beasts are an amazing sight for cast and audience alike. That’s not all. There’s an islander played by John C Reilly who is nutty due to being (sort of) alone for ‘some’ time. This whole concoction makes for a feast of entertainment which blew my socks off. But! And it’s only fair to explain this. I did think to myself on many occasions “it’s like a Michael Bay Kong movie!”. That is a very divisive statement. I enjoy dumb loud films such as Transformers and Battleship and that kind of thing, but for many, that is awful. But I advise you to go see Kong:Skull Island and see if it’s possible to watch the POST CREDIT SCENE and not tremble with excitement!!! Sing is moderately entertaining as an X Factor with animals animation. Toe tapping animation with a bunch of characters who come together to do a talent contest. 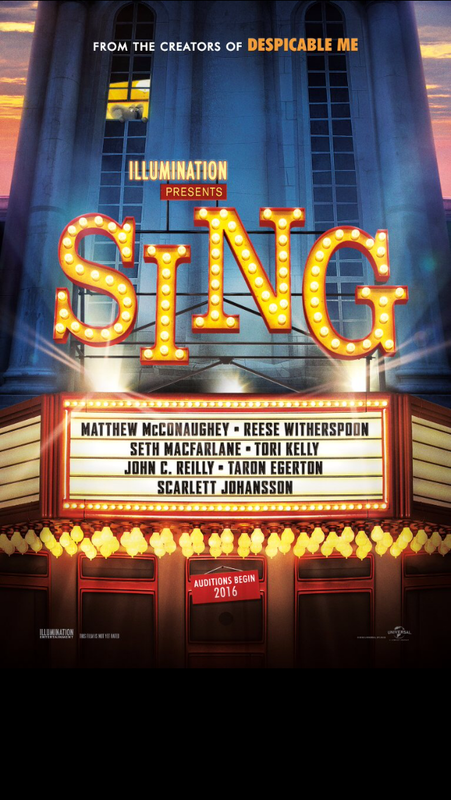 The cast is full of famous voices but having Matthew Mcconaughey as your lead is a coo. There’s little new here really but it has a good message about following your dreams and it’s sound track is pleasant enough. There are chucklesome moments throughout but it’s not all that high grade. Think FAME done with animals.